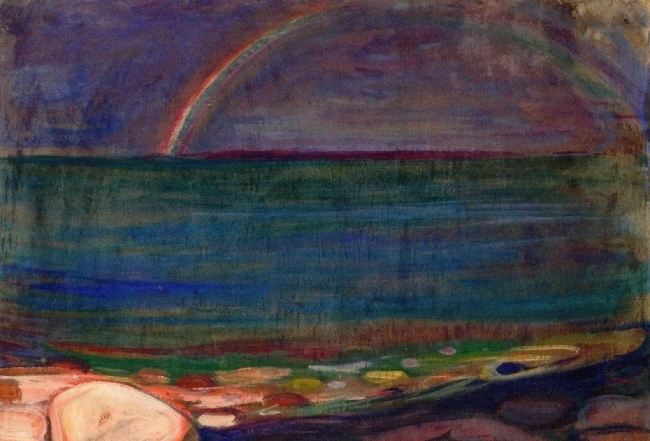 “The Rainbow,” oil on cardboard, by Edvard Munch, 1898. Tina: We graduated from the MFA program at SDSU at the same time—2009. Is that right? Andy: I actually think I graduated in May of 2010 … I actually had to look at my diploma. Yeah, 2010. It’s signed by Schwarzenegger. That’s a little surreal. I remember our fiction workshops together, and how I was drawn to your style of writing. Your work is highly imaginative. I take it you were always into sci-fi writing? When did you start writing? I’ve always been drawn to, and have been writing or imagining, stories in the sci-fi and horror realm. Even as a kid, reading Stephen King and Asimov and Bradbury, and watching old episodes of Twilight Zone, The Outer Limits, or Star Trek (TNG), I loved that sci-fi stories were the ones that really tried to examine something deeper about who we are, about humanity. So, I guess I’ve been writing off and on since like 1st grade. I wrote my first “novel” in 8th grade (maybe it was 40k words?). It was sci-fi horror, of course. Writing took a back-seat to music for me once I got into high-school, as I was focusing on piano, and eventually went into my undergrad as a music major. All that changed my junior year when I realized writing was the art I could spend the time and effort to perfect. So, writing again took front seat, and has been driving ever since. 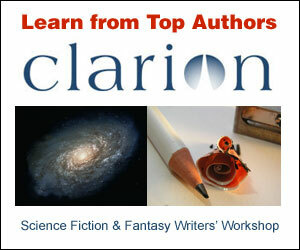 Can you tell us about your experience at the Clarion Workshop? When did you attend? What was it like? It’s fairly hard to quantify my experience at Clarion. Six weeks of immersive workshopping and writing with seventeen other very talented writers, of drinking too much, and staying up too late, constantly burning the candle at both ends. Never in my life have I felt more exposed, more raw, more in doubt of myself and my abilities. But, then, not long after Clarion, I started selling stories, and I got my agent. I can’t quite put my finger on what changed, actually. But I came out a different writer. In many ways I realized that I wasn’t the “hard” sci-fi writer I imagined I was. Or, perhaps, I had a better grasp on the fluidity between genre fiction and “literary” fiction. All of this to say, Clarion was very much worth it for me. You had a story published with F&SF. I read it and was very impressed. Can you elaborate on the development of that story? I’ve actually had three pieces come out in F&SF to date—a short story, a novella, and a novelette. (These distinctions are based on word-count.) My novella “Wormwood is Also a Star” was featured as the cover story for the May/June 2013 issue, and my novelette “The New Cambrian” was a “Notable Story” in the Best American Science Fiction and Fantasy 2015 anthology. As for my novella sale to F&SF, I was very uncertain that it would actually sell. The piece was graphic, dark, political—I felt like I was on the edge of something when I was writing it. I guess you just know when you’ve got a piece with energy on your hands. I had only sold one short story to F&SF a few months before, but I sent it in anyway. As you can imagine, novellas are a much tougher sell, especially to print magazines. They take up so much real estate. Honestly, I was a little surprised when Gordon Van Gelder, the editor at the time, picked it up, and even more surprised later when I found out it would be the cover story (the cover art would be themed to my piece). I was, and still am, in many ways, a new voice in the field, and to have such a big sale to such a prominent magazine was incredibly encouraging. In some ways it was really intimidating, because now I had set a standard for myself. That has turned out to be a very good thing, actually. My internal editor is stronger now, and I’m a better writer because of it. When did you decide to make writing your priority so as to guide your career/job related choices? Or was that just a given for you as writer? Being an artist has always made me happy. So, that has always been the priority. When I was working through my MFA, I didn’t take the teaching track. In fact, I was warned by some mentors to go out, publish, and then come to teaching later if you want, or need, the steady income. Don’t get sucked into adjunct hell, and all the exploitation that comes with it. So, writing has been preserved as my priority #1, and all other freelance jobs I’ve taken since support that habit. It’s not all as uphill as you think, this writing business. Encouragements will find you, and will buoy you if you keep at it. What sorts of jobs did you hold during and after the MFA program? Would you say your decisions have helped you put writing first? Some odd ones. During my MFA, I worked under contract as a urine collector and breathalyzer analyst for government employees. That meant weird hours, lots of time on the road, but really, really good pay for the amount of work I was putting in. I had so much down time for writing and reading. I’ve since worked as an English tutor, an editor for a financial transcription company, a college prep coach, and a private home-school teacher. All of these decisions allow me to work from home, and give me at least two hours a day for writing. Oftentimes more. Which writers living and dead are most influential for you? Ah, what a tough question. I try to answer questions like this and always end up forgetting one or two major ones. I mean, Margaret Atwood, George Saunders, John Banville, The Strugatsky brothers, Paolo Bacigalupi, Ursula Le Guin, Samuel Delany and Kim Stanley Robinson. Most of these writers are still alive, actually. Of course, I owe so much to Stephen King and Anne Rice, whose books I started reading in 6th grade. Any words of advice for writers struggling to make enough time for their writing? The thing I really want to say, which is the thing that all writers generally say when asked this question, is to keep at it. Don’t let life take away your time or attention, because it will. However, let me try putting it another way. 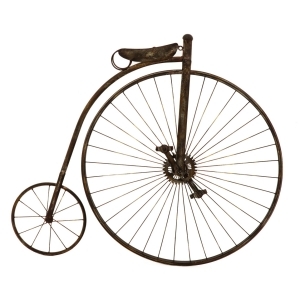 It’s not all as uphill as you think, this writing business. I mean, it is. Rejections continue to sting, and self-doubt and loathing shall continue to eat away at your resolve, and you may start to devalue the time and effort you are putting toward your craft. I am certainly not where I want to be yet as a writer. Even though I’ve got some good publications under my belt, and an agent, I’m still sitting on two books that haven’t yet sold. (Almost done with my new one—lucky number three?) But yet, I am still prioritizing the writing. That’s because encouragements will find you, and will buoy you if you keep at it. Whether that be the kind rejection from an awesome magazine, or winning a contest, or placing that first story, or placing that second story, or making it to the acquisitions stage at a big five publisher only to be rejected … (ouch!). But I think you get what I mean. You will be reminded that the time and effort are all worth it. And you have to remember that when life starts trying to take away your focus and time. Andy Stewart’s fiction has appeared in Zyzzyva and The Magazine of Fantasy and Science Fiction. 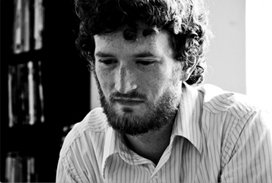 He currently writes and teaches in western Pennsylvania, where he lives with his wife. Tina V. Cabrera holds an MFA in Fiction from San Diego State University. She currently resides with her husband and two kitties in Austin, Texas. Her passions include writing, reading, and geeking out on movies, TV shows, and comic books. She is currently working on an illustrated speculative fiction piece. She is the resident Interviewer here at Easy Street.